Do New Live Tapes Confirm the Legend of Moby Grape? "The monarchy's mystery is its life. We must not let in daylight upon magic," Walter Bagehot wrote in 1867. The same truth may be applied to great records. 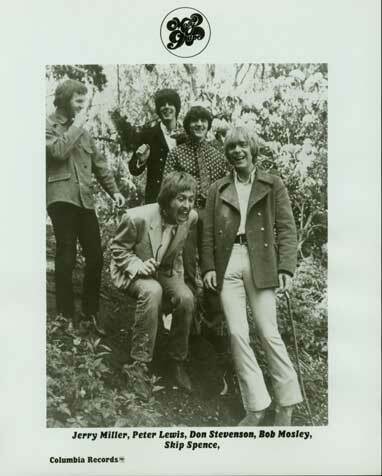 But then, Moby Grape, while clearly a bunch of Californians, never seemed particularly like a San Francisco band. They had more in common with Sunset Strip hit-makers like the Byrds and Buffalo Springfield than with the bemused and bedraggled Bohemians of the Haight. They wrote songs to make hits, they were revved high, they were uptight. While the Dead spread their mana out over glazy-eyed long jams, Moby Grape, the band’s debut, leapt out of the gate with the jet-propelled snarl of “Hey Grandma” laying their rocker credentials on the table and daring the hippies to make something of it. And while I know that the bloodline of the Eagles derives from the Byrds via the Flying Burrito Brothers, the DNA of L.A. country-rock is all there, for better and worse, on Moby Grape. Their marketing bore the wired stamp of L.A., too. The famous five simultaneously-released singles off their first album have become a cautionary fable of music industry hubris, a rock’n’ roll Heaven’s Gate. A slightly manufactured odor clung to them, a little bit of Monkee-mania, that is if the Monkees had balls and chops. Still, if one had to pick an album off of which you could get five hit singles in 1967, there are worse choices than Moby Grape. The problem with the myth of Moby Grape is that even in an era when it seems like every ‘60s garage band garners blogs, fan pages and obsessively detailed Wikipedia entries, one good album is still a pretty fragile foundation to build a legend on. Hell, even the New York Dolls made two. And it’s not as if they recorded one great album and then made some poetical exit from the scene. There have not been many first album to second album plunges as dizzying as Moby Grape’s. The sad story’s been told before, but the fact is that Moby Grape missed few opportunities to de-mythologize themselves before they finally stopped recording. Not that that rap lies uniquely on Moby Grape. Few are the rockers who, given a sufficient number of shots at releasing a record, will not eventually besmirch their own reputation. One thing that would help us give a final thumbs up or down for Moby Grape (and remove the nasty option of “fluke” from the spectrum of possible judgments we could make about them) would be some further recordings, preferably live, from the period of their ascendancy. And now with the release of Moby Grape Live we have them. And the answer seems to be that, yeah, they pretty much had the goods. It should be said right off that if you’re looking for the insane, raving, molten psychedelic punk-prophets of “Omaha” you won’t find them here. 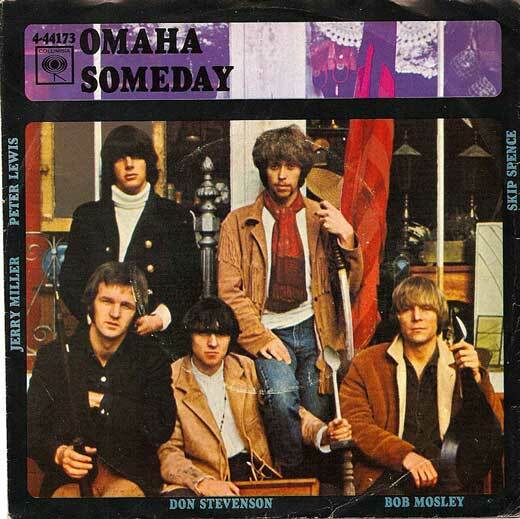 That, it turns out, was not exactly who Moby Grape was. Nor will you hear much like the lead break that rips through “Fall On You” on Moby Grape like a chrome-plated buzzsaw. But the spirit of unstoppable, exuberant invention that overflowed the 12 tracks of Moby Grape shows up on stage as well as in the studio. Not many sounds in rock ‘n’ roll are as exhilarating as Moby Grape in full cry in 1967. Some bands, even very good ones, take the stage diffidently, waiting upon the audience’s mood. Bands like the one you hear on “Indifference” and “Changes” on these recordings are, like a great soul review, very sure of what they have to give away to their crowd, and they have converted themselves through grueling months of day and night rehearsal into a unit as coherent as a team of navy Seals for getting the job done. That’s not to say they weren’t raggedy—even more than on Moby Grape, you hear them tossing lyrics and lead parts from one to another like a running back improvising a lateral to a tight end. You bite your nails until the play is safely completed, but that’s the fun of it. Some of the best of these moments are caught on previously unreleased originals like “Rounder,” a song that could have held its head up in the company of the other Moby Grape tracks. On record, Moby Grape provided the essential rock ‘n’ roll sensation that they had communally stumbled upon some terrific source of energy and were in a hurry to spread it out as far and fast as humanly possible. Moby Grape Live documents a band clearly capable of delivering this bracing, urgent evangelism in person. “Come on in people, we’re going to tell you about good dreams and things to make you happy…” they said on their first album, and Moby Grape’s high energy performance was a kind of generosity, a spirit that a lot of the bands of the later ‘60s forgot about, or were snobbishly dismissive of. There are hints here—like in “Sweet Little Angel”— of the rather ordinary boogie band they would become, when they reconvened to try to make the magic work twice on their double-album follow-up, Wow/Grape Jam. 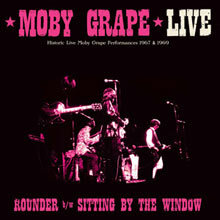 And cuts 14 though 18 of Moby Grape Live, recorded two years later in Amsterdam, are plain sad, their inclusion here explicable only by the fact that they too are live cuts. In light of the (frequently tragic) fate that awaited the members of the band, poignance might be the strongest reaction to the hopeful energy that animates these songs. But joy is not invalidated by circumstances. This is music from when California was still golden, and it was bands like Moby Grape who performed that alchemy.